Today I took CJ to meet-the-teacher day at her new preschool. We went out to the playground and I flashed back to the playground behind my own nursery school, a two-story red brick building near the Lake Street El outside Chicago. 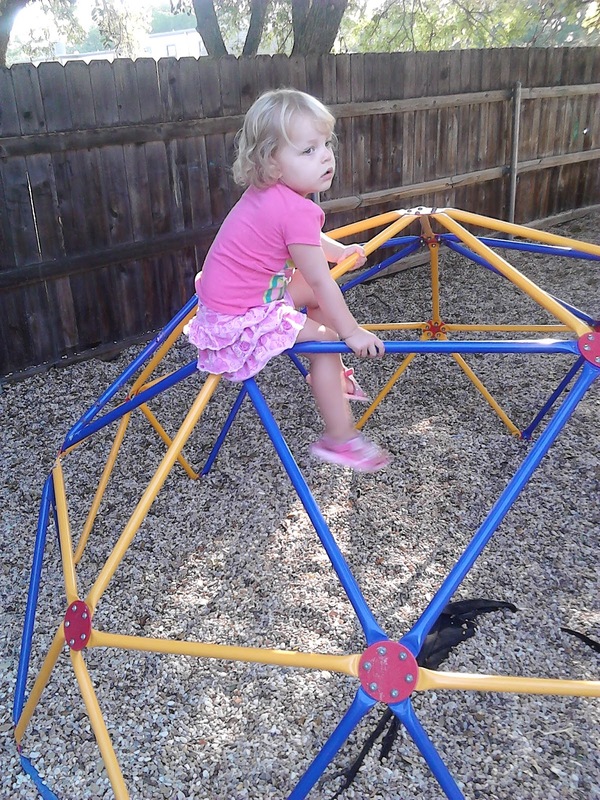 The other kids used to climb to the top of the jungle gym and hang upside-down from their knees. I was afraid to do it, but one day I worked up my courage and gave it a try. When I went upside-down I swung a little too freely and knocked my teeth several times against one of the bars. I remember deliberately choosing to let myself swing rather than reach out and risk falling. To this day I have a chip missing from my left front tooth. As I remember it, I was completely unsupervised and the jungle gym was two stories high. But today, watching CJ, I realized that I couldn’t have been more than 7 feet off the ground.